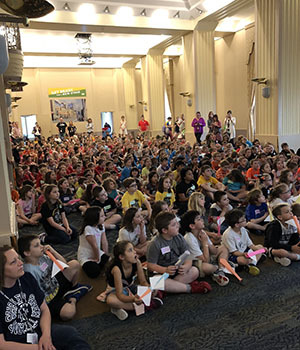 More than 400 elementary students came to Point Park University May 18 for a STEM education event led by Remake Learning, a network that ignites engaging, relevant and equitable learning practices in support of young people navigating rapid social and technological change. “Our undergraduate students worked directly with elementary students and educators to practice teaching skills including critical thinking and problem solving while gaining more exposure to 21st century learning techniques,” explained Eric Stennett, Ed.D., assistant professor of education and director of the Ed.D. in leadership and administration program. “We were honored and pleased to partner with Remake Learning and local school districts for this outstanding event,” he added. Stennett coordinated the event with Megan Cicconi, executive director of Instructional and Innovative Leadership for Fox Chapel School District. “The majority of the time I worked with Kindergarten and first graders on a rocket design challenge. My favorite part of the day was seeing the students’ reactions when they completed the activity. They were so proud and excited,” said Alexis Lucas, a Pre-K through fourth grade with special education certification major from Steel Valley High School in West Homestead, Pa.
Kristy Price, also a Pre-K through fourth grade with special education certification major at Point Park, worked with second-grade students on a wind-powered sail car challenge. “I learned that STEM activities like this keep students engaged and required them to use problem solving skills. 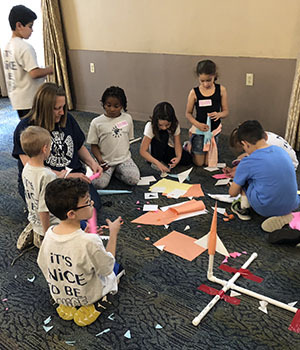 I enjoyed seeing the students come up with a wide variety of ideas to create the cars,” said Price, a graduate of Pittsburgh Public Schools (Langley High School). Kamryn York, Ed.D. program graduate assistant and part-time education faculty member, described the event as “a fantastic opportunity for the education department. “It was wonderful observing local school teachers, elementary students and university students come together to make learning hands-on, fun and engaging. 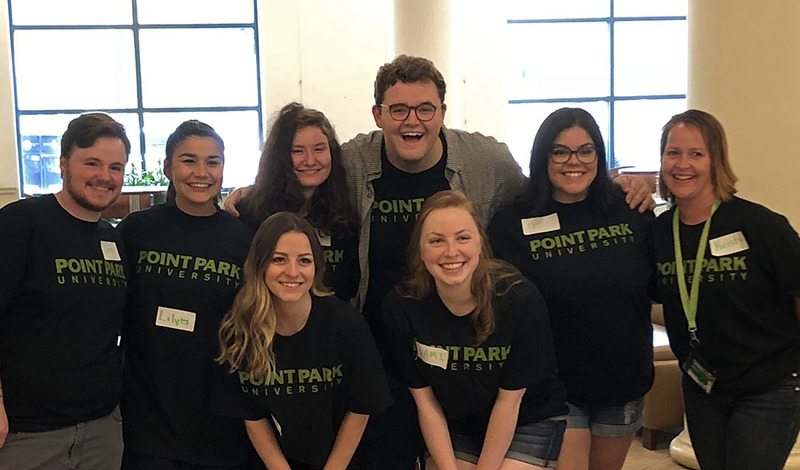 At Point Park, we are committed to developing pre-service teachers who are prepared for today’s classrooms,” York said.